This scenario explains a Connected Service, so first please make sure that your phone is paired for data (see topic 1). 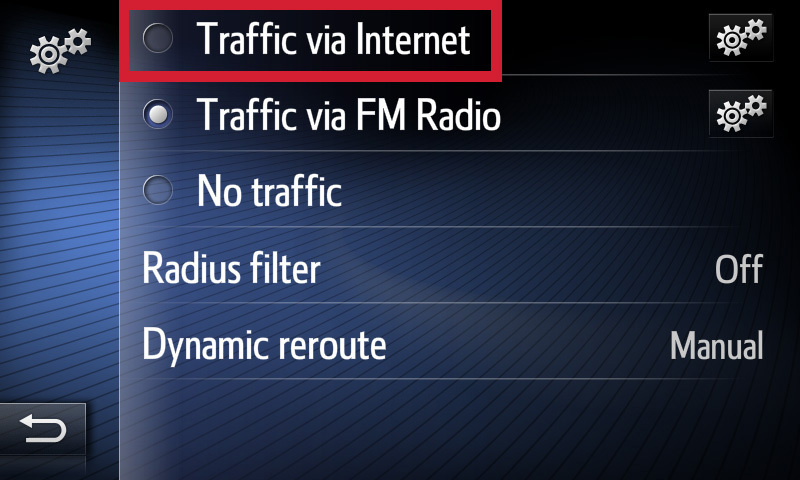 To use Tom-Tom traffic, press the [SETUP] button of the device to go to the setup menu. 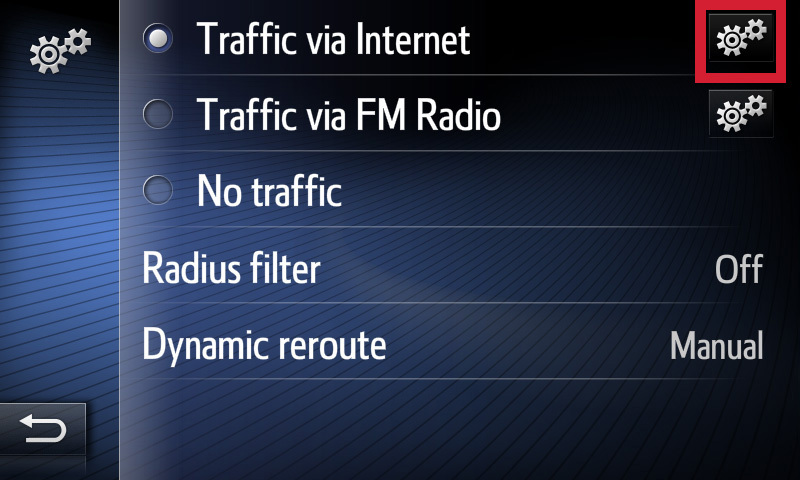 Touch [Traffic] to get to the traffic menu. 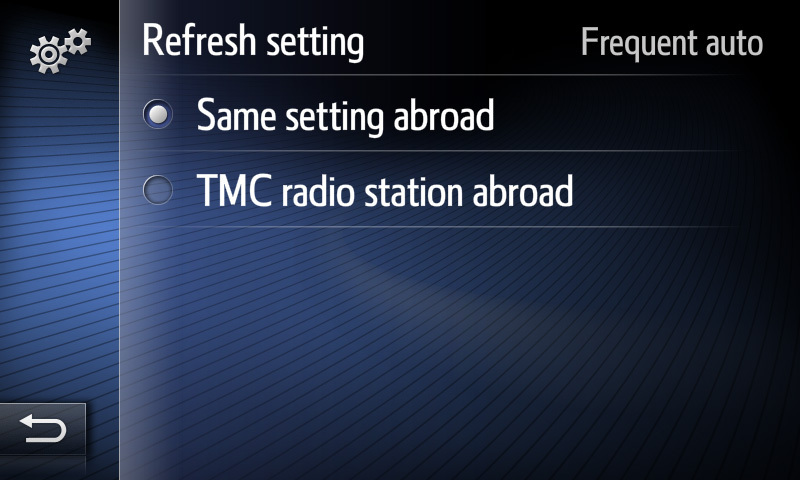 then touch the settings icon on the right side. Make sure that [Refresh setting] shows [Frequent auto]. TomTom traffic is now activated. 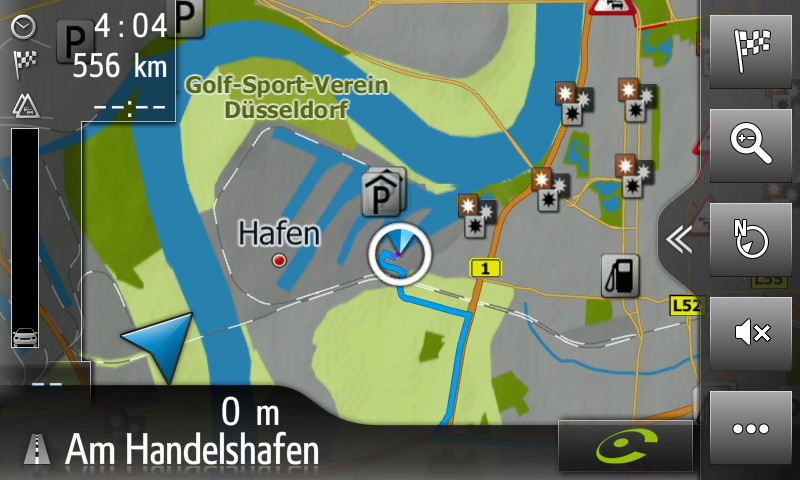 Press the [MAP/NAV] button of the device to get back to the map display. 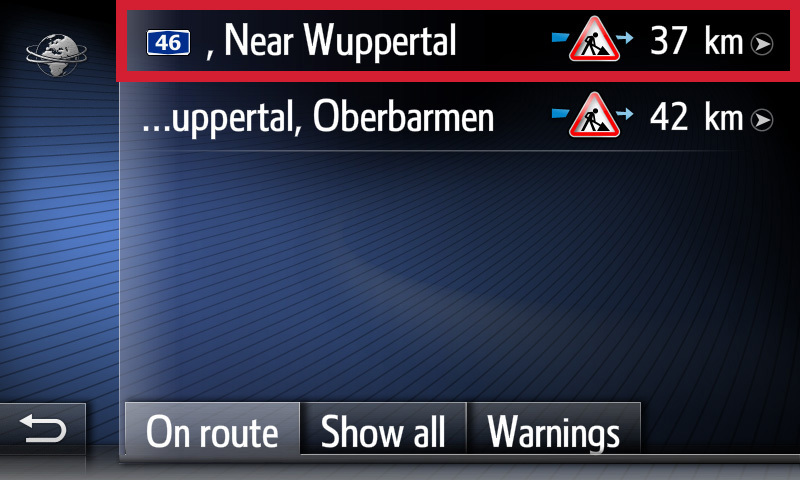 At the left side of it you now find information on the next traffic incident along your route (length and delay). Touch the bar to get further details on all relevant traffic incidents. 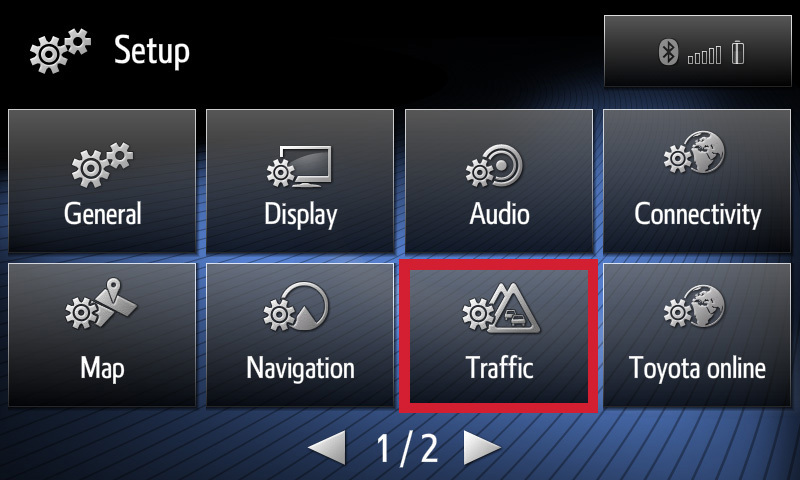 You can select each traffic incident for deeper information. 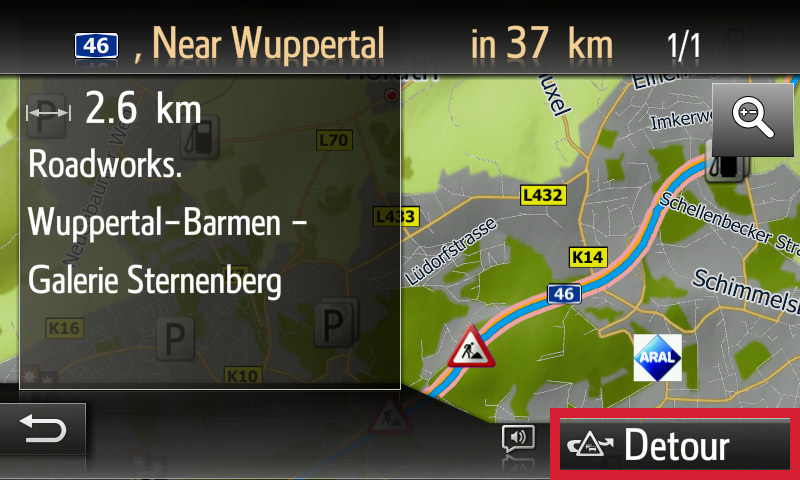 Optionally you can touch [Detour] if you like to find a new route around a specific traffic jam. The system will provide you with an alternative route immediately.